The Sam Davis Monument on the south side of the square, was erected in honor of the young "Boy Hero" confederate scout who was captured on the old Lamb's Ferry Road south of Minor Hill and executed in Pulaski on November 27, 1863. 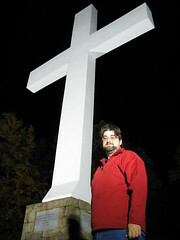 The monument was erected through the joint efforts of the John H. Woolridge Bivouac and the Giles County Chapter of the Daughters of the Confederacy and cost $2,000.00. The same Italian sculptor who carved the figure marking the grave of Governor John C. Brown in Maplewood Cemetery carved the statue. 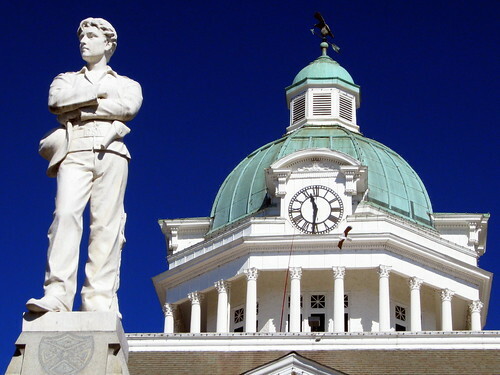 The monument in front of the ornate courthouse cupola was dedicated October 11, 1906 as a part of the program of the Confederate reunion which met in Pulaski at that date. Speaking of the courthouse, a different courthouse would have made the backdrop when the statue was built, the same one seen in a famous civil war photograph. In that photo, many citizens are lined up along the street when Sam Davis was to be hanged. That courthouse burned down in 1907, and the current courthouse was completed in 1909. There is another Sam Davis statue on the grounds of the Tennessee State Capitol and also, the Sam Davis Mansion in Smyrna, TN is available for tours. As an aside, if you look just below and to the left of the clock on the courthouse cupola, you will see what looks like a bird. In reality, it is a kite. If you look closely, you might see the pole and the rope that holds it up. There was a second one on the other side. This tiny little town in western Williamson County is something of a tourist spot. The Natchez Trace Parkway has an exit into this town, as the original Natchez Trace passed through here. 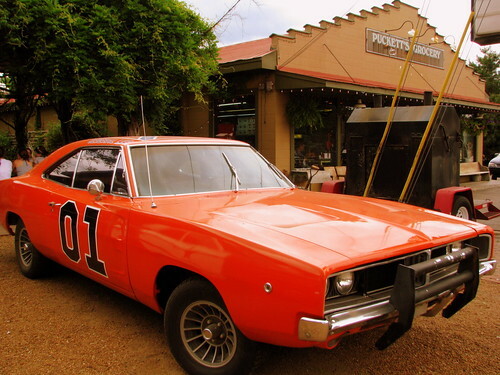 How can you miss the General Lee, the famous car from the Duxes of Hazzard? It is parked in front of what is perhaps the town's most famous business, Puckett's Grocery. The store which opened in the 50's is now a small market, restuarant and evening live music venue. The skyline has actually changed a little bit since I took this photo in January of 2008. If you want a good skyline view of downtown Nashville, there are two places you can find photographers on a dry Friday evening. First, the Shelby Street pedestrian bridge has a nice observation deck where you can get a good view. Second, not far from the Coliseum, are some stairs that lead down to the Cumberland River. Sometime around 2000, the Opryland people thought it would be a good idea to have river taxis run from their hotel to downtown. Those river taxis eventually were unsuccessful, but the dock remains on the east bank. If you're not careful, you could walk strait into the river, but if you back up a few steps and bring a tripod you can get a view like this. If you go at dusk, on a clear night you can get a nice blue hue to the background. Then on nights where there are a few clouds, the setting sun casts vibrant colors on the clouds. Welcome to See Middle Tennessee! Greetings! 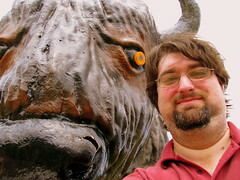 My name is Brent and I welcome you to my blog! 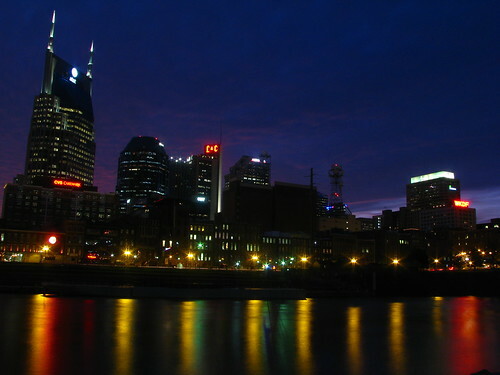 I have lived in the greater Nashville area most of my life. Once I got behind a camera for the first time, I realized there's so many things out there to see. If it was not too far away, I wanted to see it and capture it. Many things have captured my attention over the years, such as neon signs, advertising barns, waterfalls, courthouses, and train depots to name a few. 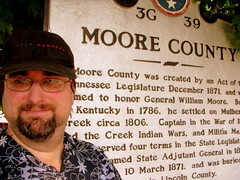 Now that I have been at this for several years, I have put together an image collection representing every county in Middle Tennessee, as well as other nearby places not too far away, such as East and West Tennessee, Kentucky and northern Georgia and Alabama. Whether you too are a photography enthusiast, have an interest in what's nearby or local history, or perhaps you just stumbled across this blog because I have what you googled, I hope you enjoy your stay! 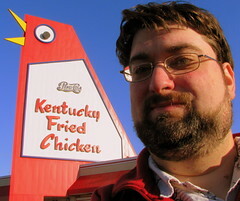 This blog isn't really meant to be a vacation guide - those guides always recommend the same places, and I too have been to those places, such as Opryland Hotel, Fall Creek Falls or the Jack Daniels Distillery. Instead, in addition to the widely known places, I've been to many of the lesser-known hole-in-the-wall places, places that time has forgotten, and places in between. Every day, I'll post something different. Some days, I might continue the theme from the previous day, but usually I will have something random every day. If you'd like to see more, visit my website SeeMidTN.com where I also have galleries of photos that share a theme, or are grouped by counties, recommendations for the books that helped me find these places, and more! Keep checking back, and maybe you'll find some place you'd like to visit.